With over seven years’ experience in early childhood education, Sonia is a passionate teacher who loves working with children at young age. She held her Montessori certification from Canadian Montessori Teacher Education Institute and also received a diploma in Psychology of Early Childhood from Harvard University Extension School in Boston. Sonia loves to dance and taught hip hop to preschoolers. Her music circle is very well received by the children! 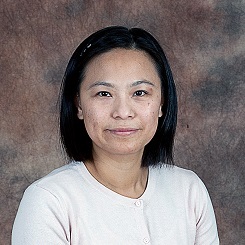 Vivian came to us with 20+ years' experience in music education for young children. 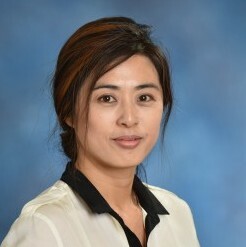 She holds a bachelor's degree in Childhood Music Education from Xinhai Conservatory of Music in China and a Master's degree in Education from Portsmouth University. A mom of two lovely young girls (8 years and 2 years), Vivian loves working with Toddlers and uses music throughout the day to stimulate their development. A Registered ECE, Archana also hold a MACTE diploma from Toronto Montessori Institute, a Bachelor of Science degree in Child Development, and a MBA degree from Birla Institute of Technology in Bahrain. With over 10 years’ experience in teaching, Archana taught kindergarten and elementary aged children both in India and in Canada. 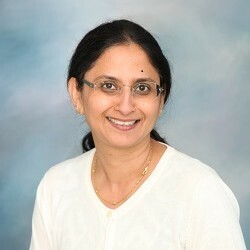 Ms. Archana loves Yoga and is a certified Yoga instructor and taught Stress Management techniques. A native of Columbia, Ms. Flor holds a Montessori Infant-Toddler Diploma from Montessori Teachers College and is working on her second year of ECE study at Sheridan College part-time. She has over 20 years teaching experience, six years of which are exclusively with Toddlers. Ms. Flor is passionate working with Toddlers and loves singing with them! She is also our Spanish teacher for all our students. Graduated from Sheridan college with a degree in Early Childhood Education, Esther started her childcare experience with us first as a supply teacher and then a full-time ECE teacher. She is passionate about teaching young children. A mom of a boy and a girl, Esther loves cooking and makes great art projects.